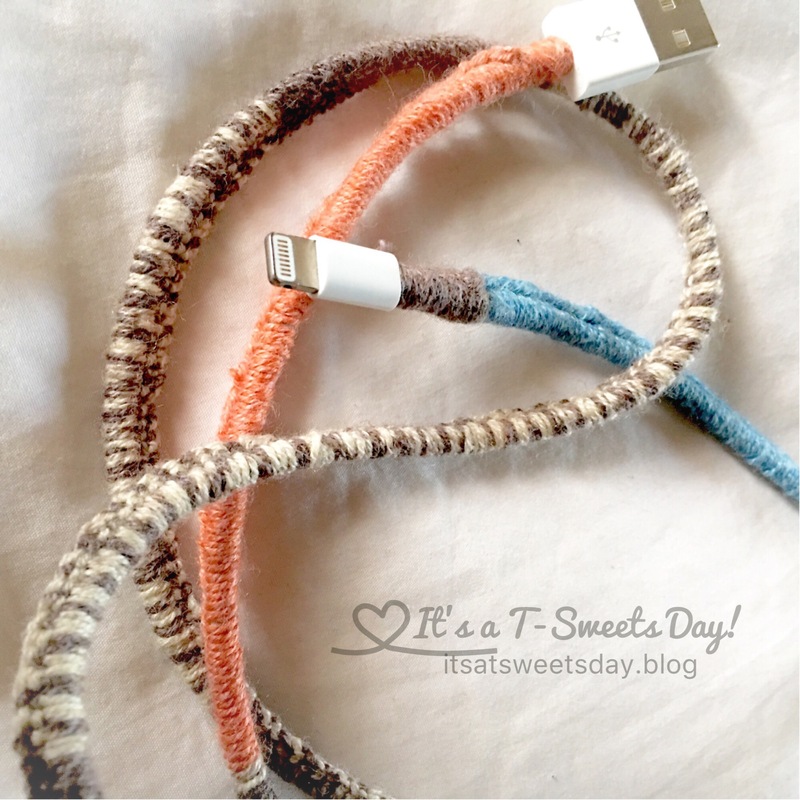 Crocheted Power Cords – It's a T-Sweets day! 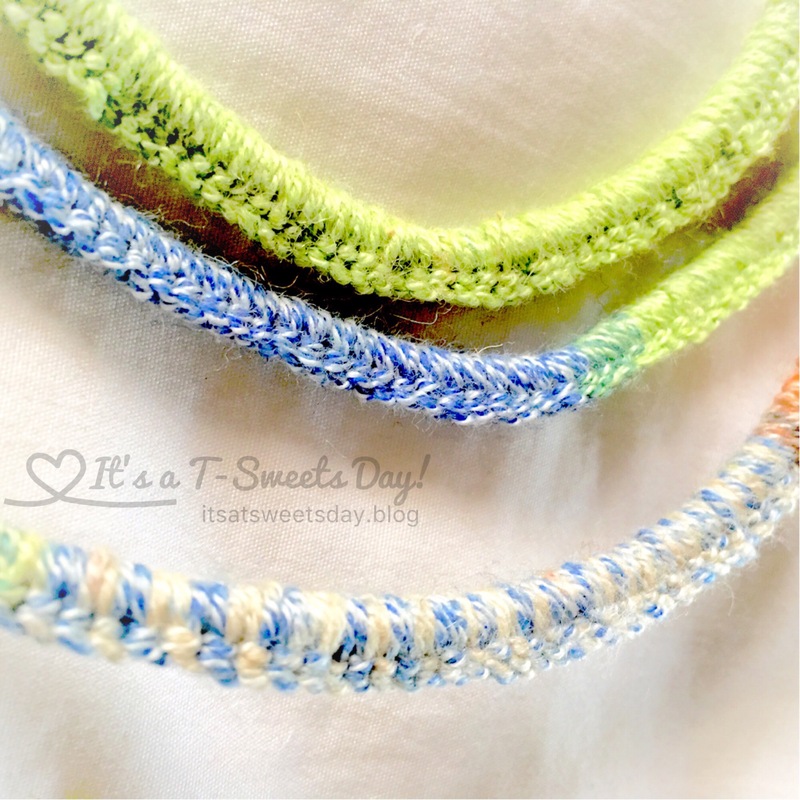 Published on December 4, 2016 December 5, 2016 by Tracy @ It's a T-Sweets Day! My phone cord is splitting at the seams. It is on its last leg for sure. Ugh!! I know I’m not alone here. 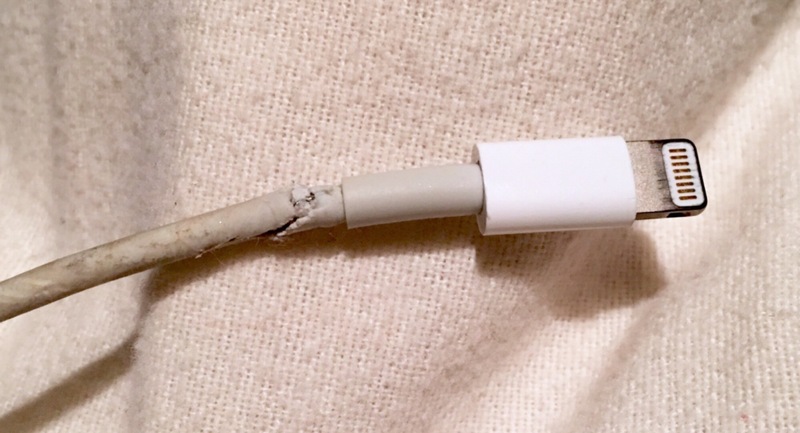 This is the inevitable fate of all plastic covered cords. I bet you have one or two of these beauties around your house as well. I have been seeing fancy phone cords advertised on Facebook and have been tempted to buy a bunch to give as gifts. 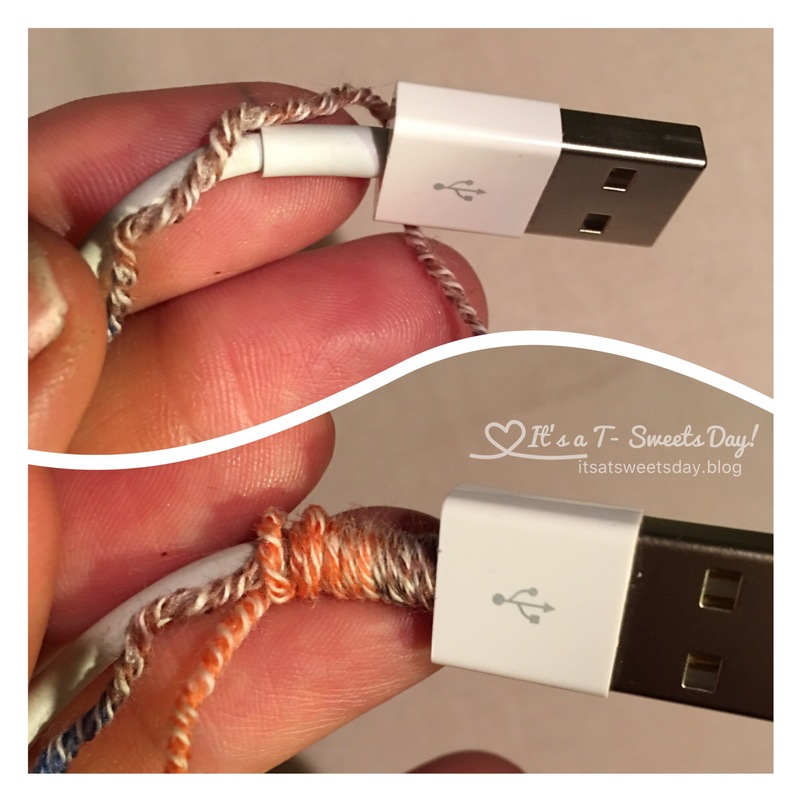 Then I thought to myself, “W﻿hy should I spend $20.00 on a cord when I can crochet one instead? !” Why not? 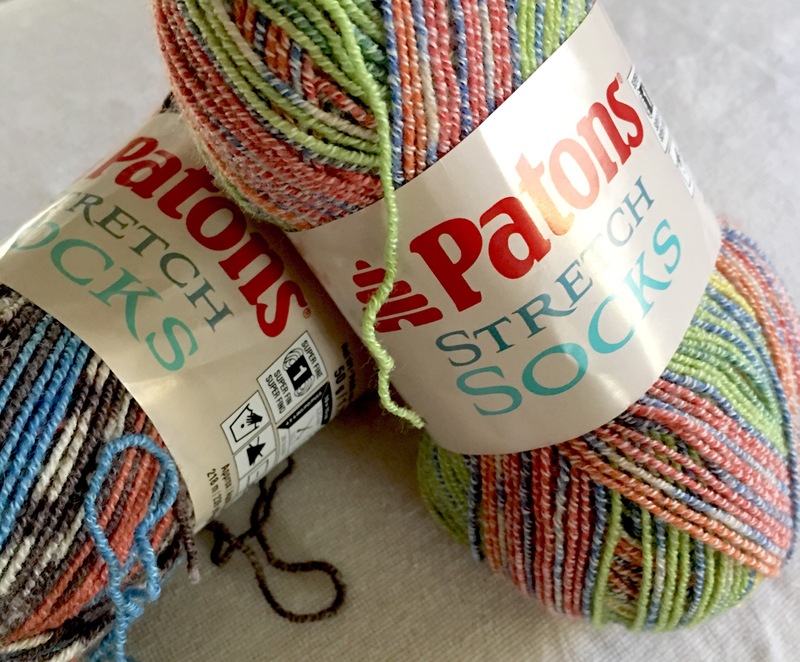 I had some sock yarn that has been waiting for me to learn to knit into socks for a long while now. (I don’t think socking is ever going to happen). Wrapping my cord will have to be this yarn’s fate. 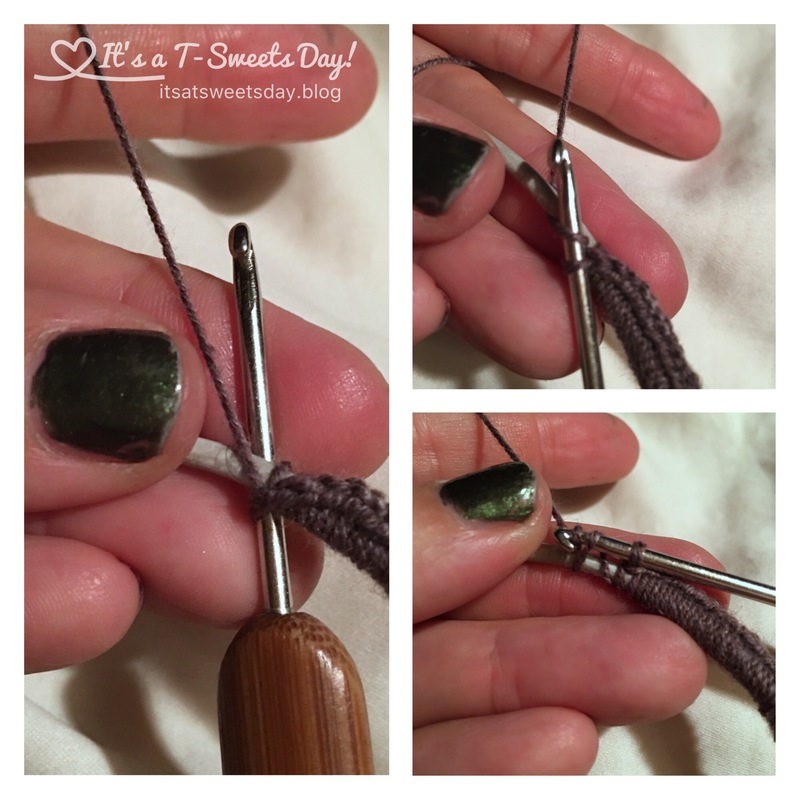 Place your 2.5mm crochet hook under the cord, hook the yarn and single crochet around the cord. 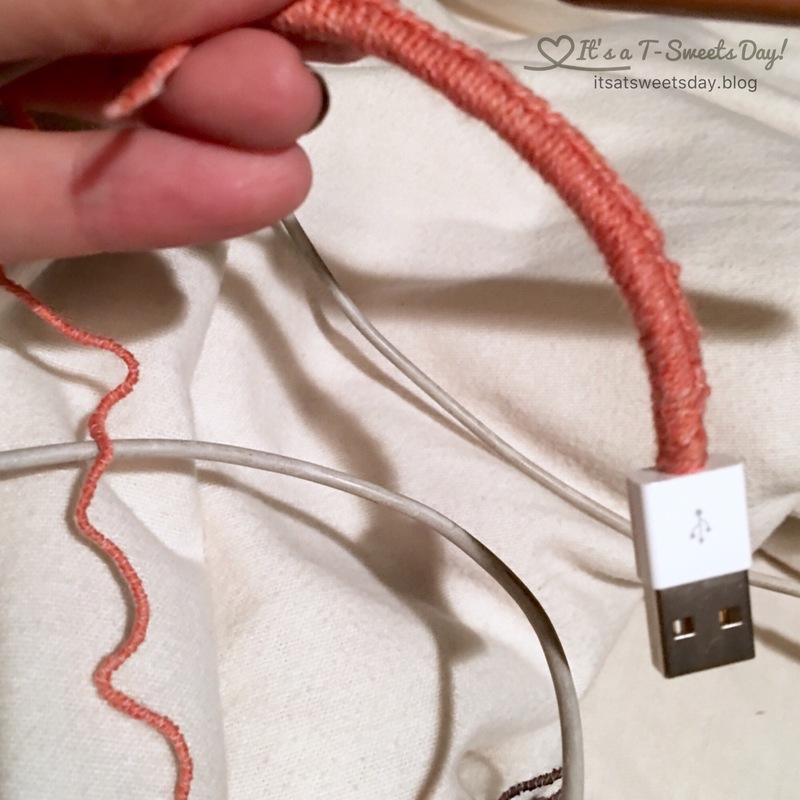 Finish this last 1/2″ or so by circling the tail around the cord and placing the end under the loop and pulling tight. -this is like the crossover of tying your shoe lace. Repeat the crossover knots until the end of the plug. On the last loop, go under three times, pull tight, and cut thread. There you go! Easy, easy:) It took me about an hour from start to finish this cord. Doesn’t it look great?! That is a whole lot stronger and cooler than that flimsy rubber coated original. I enjoyed making this so much that I covered a not so tattered cord as well! How could I resist when I have all of that beautiful yarn? 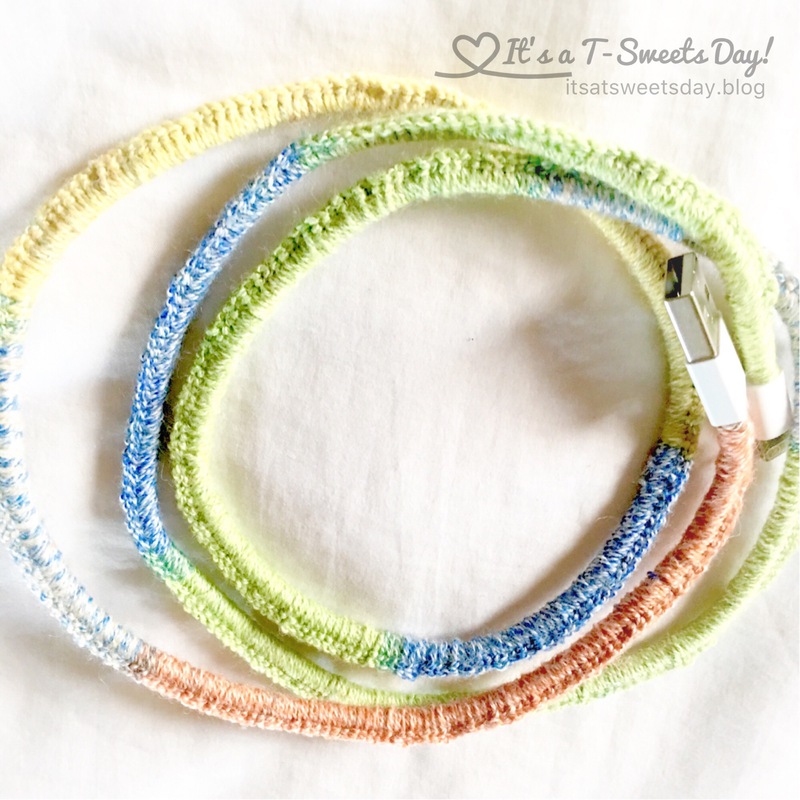 I hope I have inspired you to hook some SWEET power cords for yourself and maybe even a few for your loved ones. 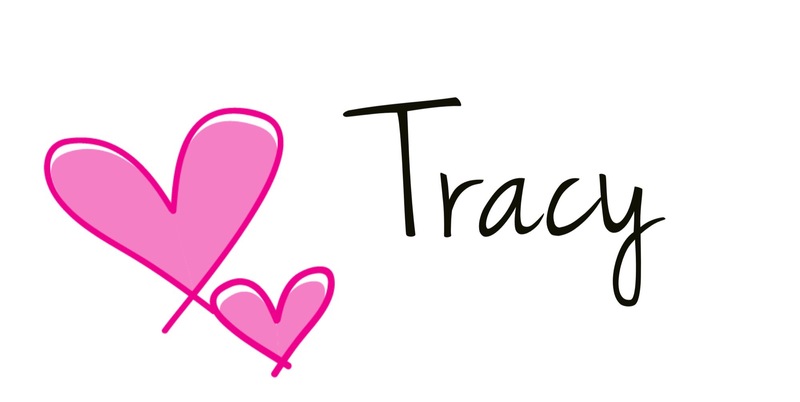 Thank you for dropping by and reading my blog. Please feel free to comment if you have any questions. I definitely need a “Love” button for this one!!!!!! I may have to go and BUY a skein of cute variegated to do it. My cords are just fine …….. but NAKED….and this situation must be addressed (as you pointed out!!). This is way cool!!!! Why thank you! I do believe your “naked” cords need a nice new sweater:)!